Throughout his career John has designed and developed mission planning algorithms and software. He’s also worked as an astrogator: planning missions, designing trajectories, and tracking spacecraft. He has performed flight dynamics mission analysis, operations, and systems integration. John has supported several operational Earth and Lunar spacecraft missions and has designed and written trajectory design algorithms and software used for mission analysis and spacecraft operations ranging from Earth to interplanetary. John also designed and lead the initial development for the NASA GSFC Swingby software program, and the commercial STK/Astrogator software. John has given courses worldwide about mission planning, trajectory design, maneuver planning, and mission operations. 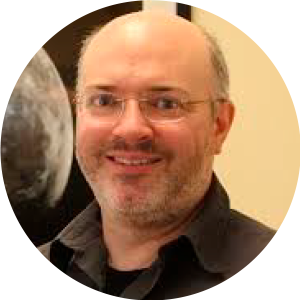 He has worked on several spacecraft missions including the NRL/NASA Clementine (DSPSE) lunar mission, NASA/NOAA GOES; NASA GRO, ISTP, WMAP, IBEX, LCROSS, SSTP CPOD, & LADEE; NSPO ROCSAT; the AsiaSat-3 rescue; USN UFO, FLTSAT, & MUOS; Inspiration Mars; and Google/Skybox/Terra Bella. John also serves as an advisor for new space startups.